Geoplex’s team of experienced geospatial engineers, software developers and consultants offer a comprehensive suite of capabilities including business analysis, system design, software development, software deployment and spatial database design and modelling. Geoplex provides high value to clients by employing best practice ICT and agile process principles to problems in the GIS domain. The company is vendor independent, and hence provides objective advice when designing and implementing software solutions. 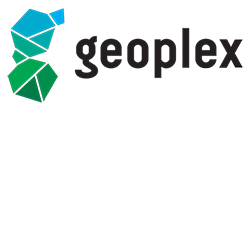 Geoplex is the Australian and New Zealand partner for a suite of Geospatial products and supply these products into Defence: Planet remote sensing solutions; AGI STK Software; Pixia Geospatial Software; and MemSQL in memory database software. Enterprise geospatial consulting services; Design, development and support of mapping applications on web, mobile and desktop platforms; Deployment of geospatial applications to cloud platforms, including Amazon Web Services and Microsoft Azure; Geospatial visualisation, analysis, data management and reporting; Business analysis and enterprise system architecture; Integration and development of emergency incident management and situational awareness capabilities; Raster imagery management and publication; Geospatial remote sensing using small satellites. Innovative approach in applying best practice ICT principles and tools to problems in the geospatial domain.Strong advocates of agile development practices to deliver working software. Vendor neutral and able to offer independent advice. Highly experienced team in the geospatial domain. Parent company (Nova Systems) are an Australian professional services firm with extensive defence background. Proven track record building and supporting enterprise geospatial systems in the defence and security sector. Able to support full ICT project life cycle, through inception, requirements, build, integration and deployment. Partners with world leading geospatial technology and data providers.